We can learn much from Martin Luther and his uncompromising advocacy of the gospel. 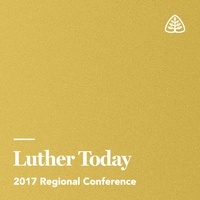 On August 11, 2017, Ligonier Ministries hosted a regional conference in Wittenberg, Germany, “Luther Today.” Our featured speakers were Dr. W. Robert Godfrey, Rev. Matthias Lohmann, Dr. Albert Mohler, Rev. Steffen Mueller, and Dr. Stephen Nichols. Together they considered the doctrine proclaimed by the Reformers, the means by which the Reformation was sustained, and lessons for the church in the present.